This certificate is valid for the following scope: Design and development of software for enterprise Content Management and Digital Preservation. Service outsourcers of Electronic Invoicing, Enterprise Content Management and Digital Preservation. Social NED is the first Italian document enterprise-like platform, comparable with the big international platforms but pursuant with Italian and international laws, less complicated and less expensive. It is powerful and scalable even in high load conditions, with tens of millions of documents and hundreds of simultaneous users. Its high reliability is guaranteed by native features of load balancing. TopMedia Social NED is the Top Consult enterprise platform for Document Management and Business Collaboration. 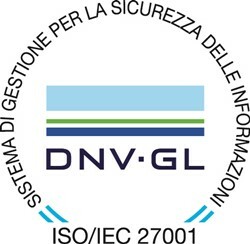 Designed in the Software Development Laboratory of Turin, it represents a strong innovation if compared with TopMedia NED version for Document Electronic Navigation, which gave companies an effective and flexible instrument in order to improve business management and competitiveness. TopMedia Social NED goes beyond Document Electronic Surfing: it’s a completely new platform that – for the first time on the market – applies the social network and social collaboration concepts and the operative modalities on ECM, making the final step towards Social Business, a new business organization system focused on collaborative relationships and networking and oriented towards a continuous innovation. The main features of TopMedia Social NED are three: an enterprise platform with a powerful, scalable and highly reliable architecture; an intuitive interface which allows every user to work in smart mode according to his own specific demands; new Groupware solutions for business collaboration with innovative instruments modeled after the social networks and the alternative to email. Is based on Microsoft.Net development platform. Two basic platforms work inwards: the interoperable document platform and the orchestration platform of automatic processes’. The document platform contains and distributes all the document services via Web Service, making immensely easier the realization of clients and portals that should only contain the logics of presentation for users. Powerful and solid even in high load conditions; scalable and highly reliable, functions of load balancing and faultolerance. Top Consult has moreover realized a family of application clients ready for use and strongly focused on the end user and the application solutions. Especially Windows Clients, oriented towards both system administrators (Designer) and end users (Surfer), have been realized through Windows RIA (Rich Internet Application) technology, that matches Windows power with Web simplicity, permitting a Web-like model of distribution even adopting a “rich” graphic interface. The Top Consult platform introduces a new way to work for the end user (both professional and occasional), through an intuitive “Surfer” interface focused on his own specific demands. Many smart features are available (favourites, recents, tag, free search, saved search, notifies) and can be used everywhere and on every kind of client: PC, notebook, tablet or smartphone. TopMedia Social NED architecture has been designed in order to realize solutions usable both on premises and on cloud as instrument for service centers and system integrator that need enterprise features. TopMedia Social NED specific feature is the use of Notifies in the communication between platform and user. The notifies are not sent via email, but through an internal message system. The user receives on his own main screen or mobile device those notifies that concern him or that inform him about a document flow or that ask his intervention, for example the approval of an order or an invoice payment -ad hoc functions for every business figure. The innovative collaborative solutions of working group create a internal business social network, safe and protected as business applications. Groupware module allows to share files in a coordinate and controlled way, to post notes and comments, to collaborate with other group users through easy and intuitive notifies. They innovate the business organizational models, strict and inflexible, by releasing creative energies and new ideas and building the Social Business new way to work. TopMedia Social NED solutions for working groups (Groupware) allow to create an internal business social network – safe and protected – based on the collaboration and sharing among heterogeneous people of different branches, both internal and external to the business. Users work inside a shared environment where the different operations of every group participant and comments that are logged. Allows to realize a business social network that is easily accessible by all the clients: PC and notebook, smartphone and tablet. TopMedia Social NED proposes a new way to work for the user, since it allows him to interact with the document system through a smart interface focused on his way to work and his business role. Simply and intuitive, “Surfer” interface refers to the graphic setting of Windows 8.1, it also works in “touch” mode and allows any user to use the most suitable smart features for his particular business job. This new way to work is usable on every client, depending on where is the user: PC or notebook, smartphone or tablet; therefore, there is no prerequisite as far as concern the instruments to use. Surfer makes available to the end user various modes of research, functionalities for the interactive document storage, in addition to new functions for collaborative management of documents and contents. For document research, there are traditional search features through classification data ( metadata generally used by the professional user that daily utilizes the software for his job) new saved research are added ready to give the expected result. But new smart features hailed from the use of mobile systems and social networks have been added: Favourites, Recents, Tag, Notifies, free Search (like an Internet search engine). In this way, occasional users will be eased in the interaction with document. So far, document archiving standards were necessarily strict and preset by he system administrator according to business processes. Surfer introduces the use of “tags”, giving users the possibility to use also a The new Top Consult platform introduces a new way to work for the end user (both professional and occasional), through an intuitive “Surfer” interface focused on his own specific demands. Many smart features are available (favourites, recents, tag, free search, saved search, notifies) and can be used everywhere and on every kind of client: PC, notebook, tablet or smartphone. TopMedia Social NED “Surfer” interface, that allows every user to use the most suitable smart features for his job. The user selects the most efficient mode of document search according to the current activity personal and informal addtional classification that supplies more flexibility and simplicity to their job. For user benefit there is substantially the wide choice of a more effective search modality according to the activities to be performed. All the researches show their result inside the result “grid”. Established in Turin in 1987, when digital document management was moving its first steps in Italy, Top Consult contributed to “evangelize” the market by offering not only technology but especially application solutions for its costumer. Its winning philosophy has always been the integration between data and documents, between database and document storage, in order to make the business informative system more completed and to make information in documents flow into working processes. Top Consult offer is divided by Electronic Billing as by law enacted, Massive and multichannel Consignment of documents, automatic email Storage, Management of Correspondence and PEC, OCR Data Capture, Workflow, Mobile apps for smartphone and tablet, Business Collaboration solutions, as well as by solutions of Digital Management of Documents’ flows and their replacement Conservatory in house and on cloud. The application solutions that are supplied are of two kinds: ad hoc articulated projects based on enterprise document platform TopMedia Social NED are realized for big enterprises and companies; Application Packages TopMedia Social NED right ready for use both in house and on cloud are employed for PMIs that want to quickly and cheaply realize solutions in specific branches as Accounting, Staff or Correspondence Management.